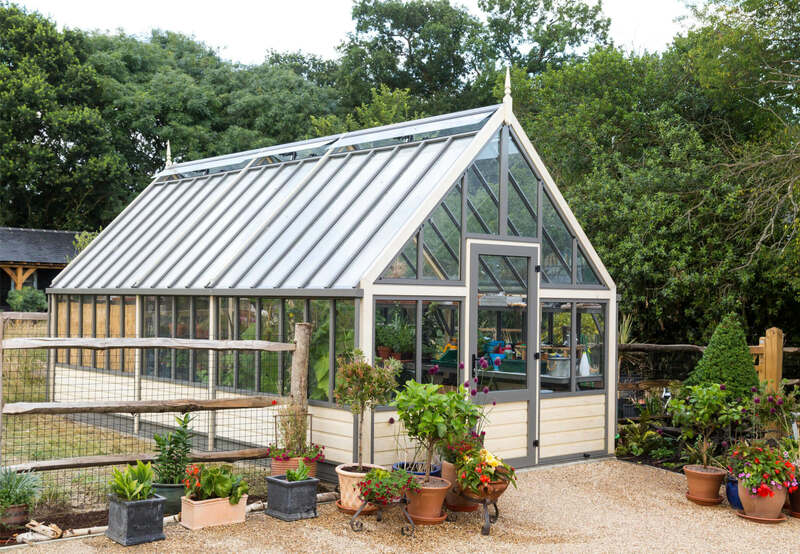 Each Victorian Greenhouse is manufactured with a generous 45 degree roof pitch, narrow pane centres and hand turned finials. These traditional designs are available in a range of sizes to suit your garden. 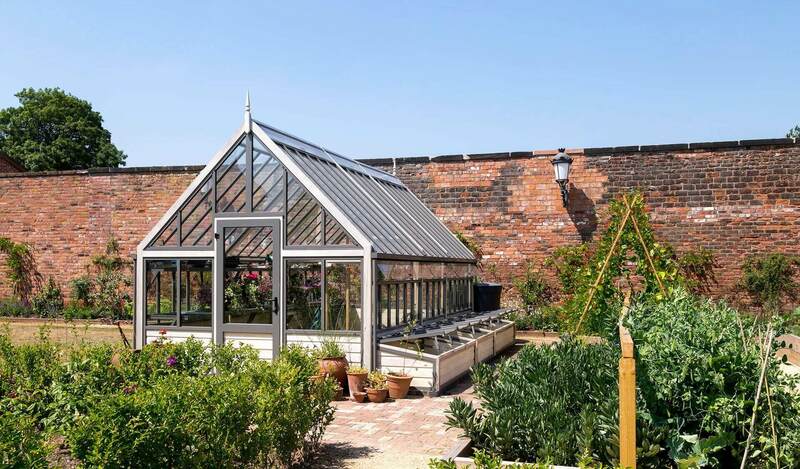 The Victorians knew about greenhouses and there are examples of Victorian Greenhouses still standing in some of our stately homes today. But they suffer and are under constant repair. Back then the glass was only 2mm (one twelth of an inch) thick, now we use glass twice as thick and toughened to safety glass standards. 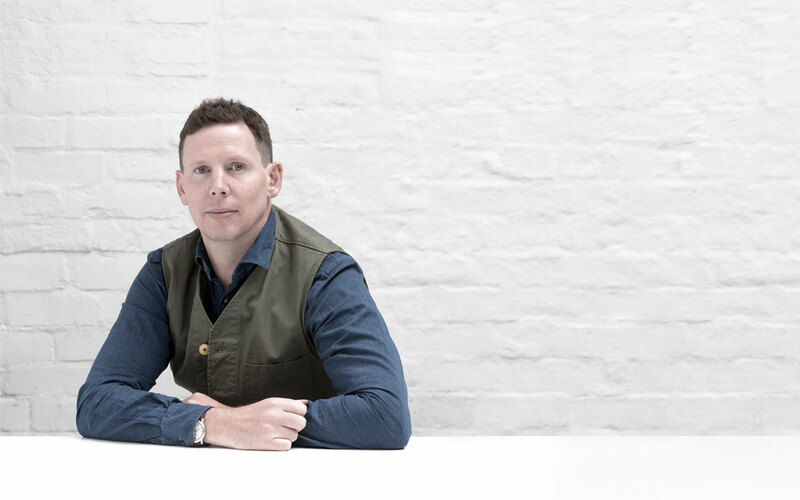 The glass can now be manufactured in single sheets avoiding the need to overlap the glass. This provides more light to your plants as well as limiting any maintenance. 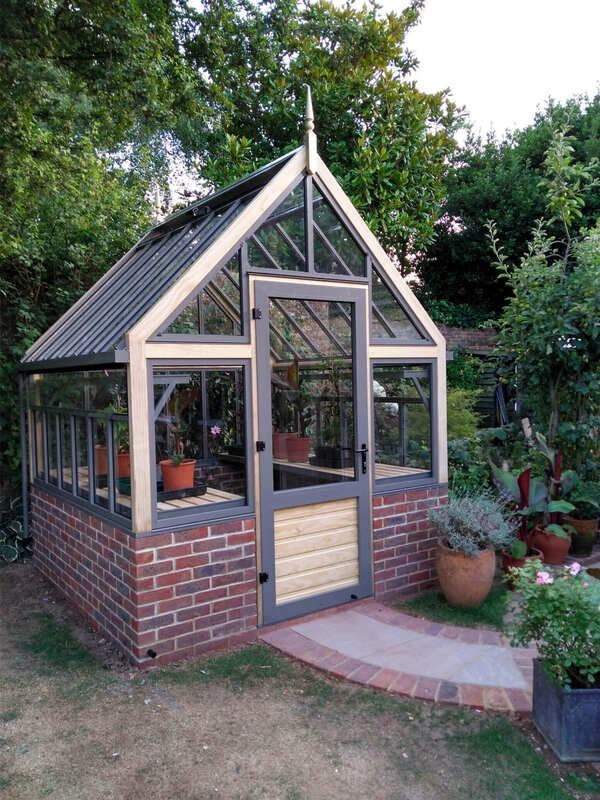 In the Accoya range we use timber, providing strong portal frames and in the instance you don't want to house the greenhouse on a low wall you can opt for the Accoya sculptural boarded base which is long lasting and ecologically sourced. We have retained the high eaves, large capacity guttering, wide hinged doors and still offer the main Victorian feature of a 45 degree roof pitch which is both imposing and impressive. 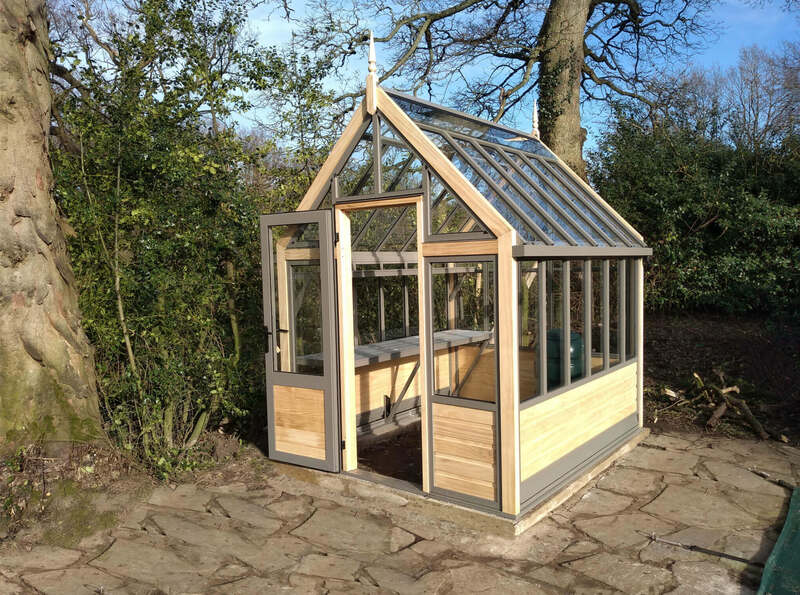 So when you step into a Victorian Greenhouse from Cultivar it will feel light, airy and a comfortable space to spend time. Your plants will appreciate the large cubic air capacity and free movement of air which on a cultivar greenhouse changes completely 34 times in an hour. 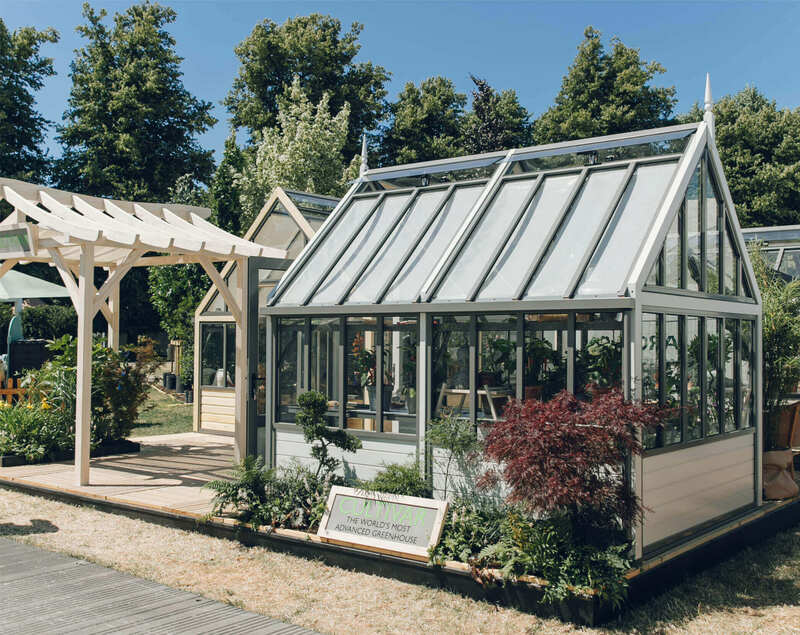 Creating an aluminium Victorian greenhouse fit for the 21st Century is something we at Cultivar have worked tirelessly to produce. 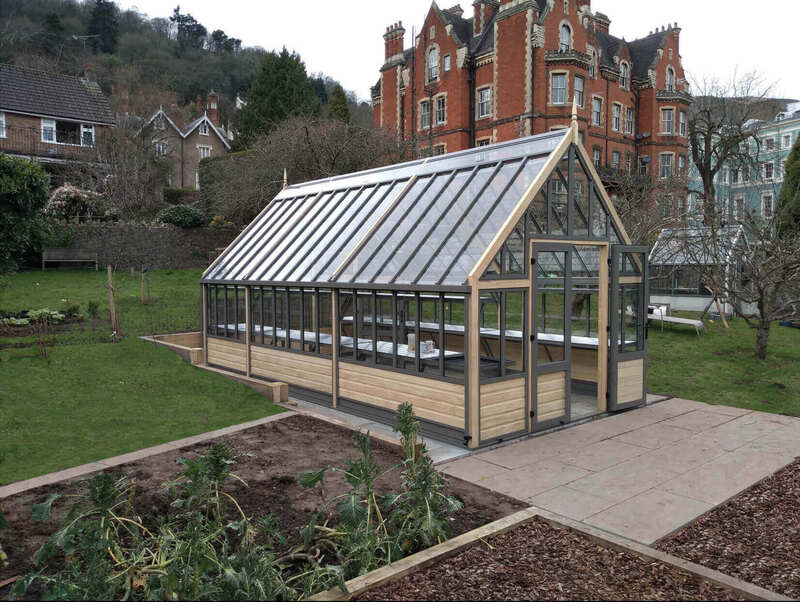 Optionally for accessing the greenhouse from the long side there's the prospect of a Victorian greenhouse with a porch. 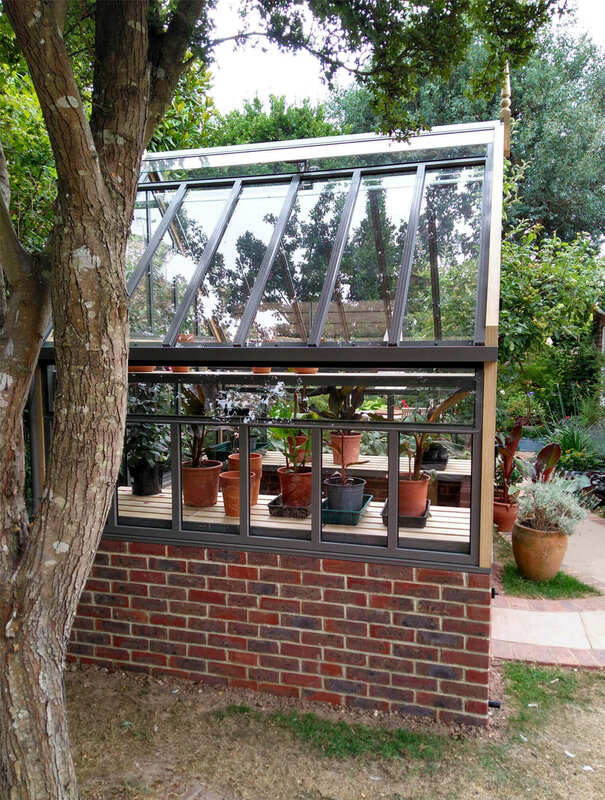 Design – drawing on decades of experience we concentrate as much on the style of our greenhouses as we do on their functionality. 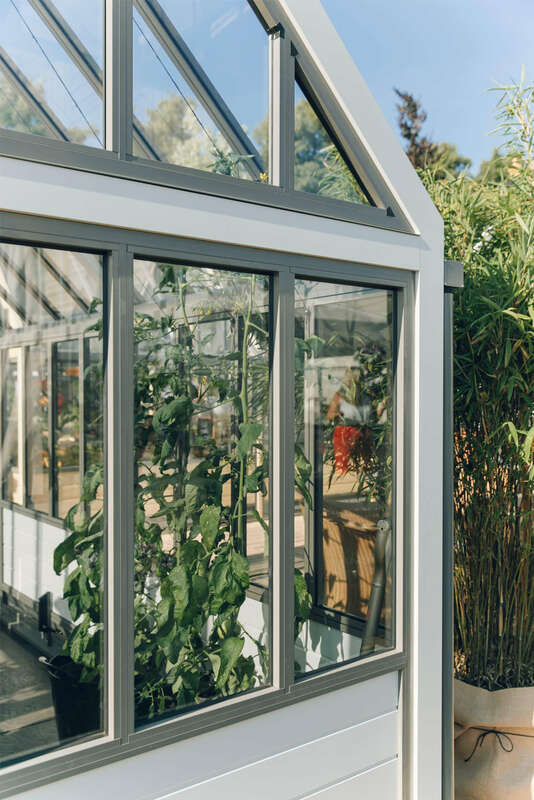 Quality – over the last 30 years we have continuously focussed on achieving the best quality greenhouses available delivering honest, British engineering at it’s best. Innovation – we are continuously working to improve our greenhouses using high performing materials in conjunction with concealed engineering. 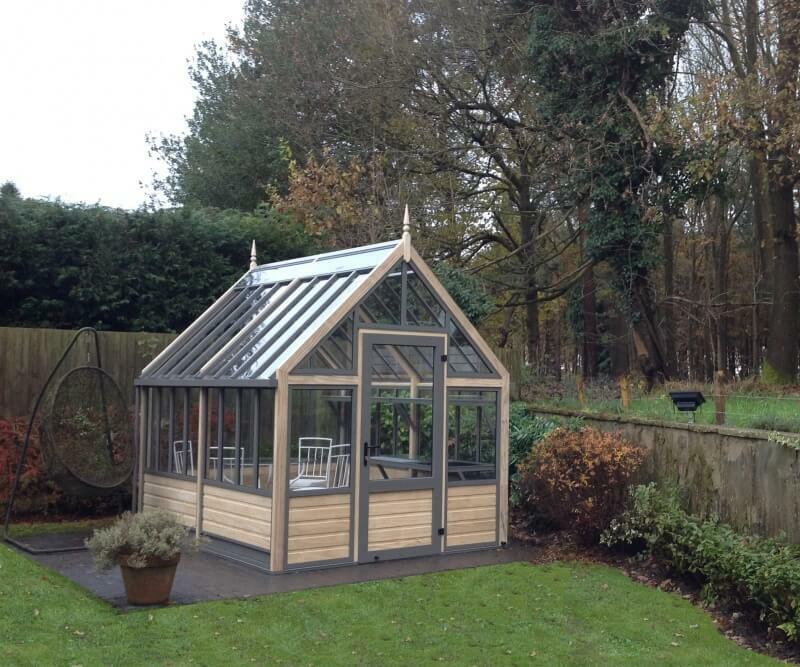 The result a clean modern range of greenhouses fit for the 21st Century.